Following up on its flagship G4 announcement for 2015, LG is now supplementing its lineup as it does every year with more midrange options that can appeal to and target different audiences: a larger phablet with a stylus for a Note-like approach and a smaller less powerful variant of its star player. Let's start with the G4 Stylus. It comes with a larger 5.7" display than the G4, albeit with a lower 720p resolution that results in a rather average 258ppi. It has drawn the short end of the stick on other specs as well, coming with 1GB of RAM and 8GB of internal storage, but there will be two variants: a 3G one and an LTE one. Oddly, the former has a more powerful 1.4GHz octa-core processor (and an 8MP camera) while the latter has a 1.2GHz quad-core processor (and a 13MP camera). The G4 Stylus packs LG's "Rubberdium Stylus" for drawing and noting on the screen, has the G4's Laser Autofocus camera, and comes in silver or white. If the specs and design sound slightly familiar, it's because we've already met the Korean and North American version of this phone (seemingly the 3G-only variant), dubbed G Stylo. It was already released on Boost Mobile, it's coming to Sprint in June, and should be headed to T-Mobile as well. Next up is the G4c, a more pocketable G4 alternative. It has a 5" 720p display (294ppi), the same 1GB of RAM and 8GB of internal storage as the G4 Stylus, a 1.2GHz quad-core processor, and an 8MP rear camera. There will be no 3G-only variant, all G4c phones will have LTE. The G4c's other distinctive feature is its similarity with the G4 in terms of battery cover design — the same ceramic-like pattern is used on its gray, white, and gold models. Both phones will have a front 5MP shooter, LG's now signature software features — Glance View, Knock Code, and Gesture Shot — and hardware rear buttons for power and volume. They will also keep the company's recently found differentiating factor in terms of removable battery and MicroSD slot for expandable storage. There's no word on pricing or availability, except that they will be shipping "around the world in the next several weeks," and they're both "exceptionally priced." What that means is open to interpretation. 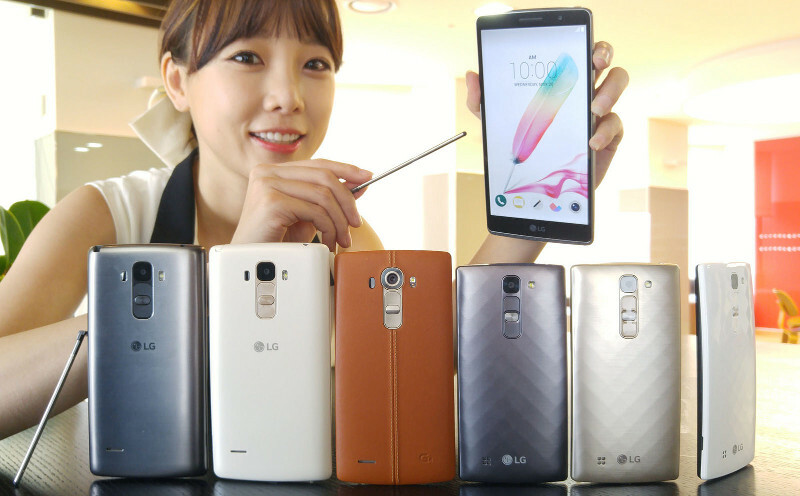 SEOUL, May 19, 2015 — LG Electronics (LG) officially announces two new members of the G4 family, the G4 Stylus and G4c. Both smartphones will begin shipping to retailers around the world in the next several weeks and throughout the month of May. 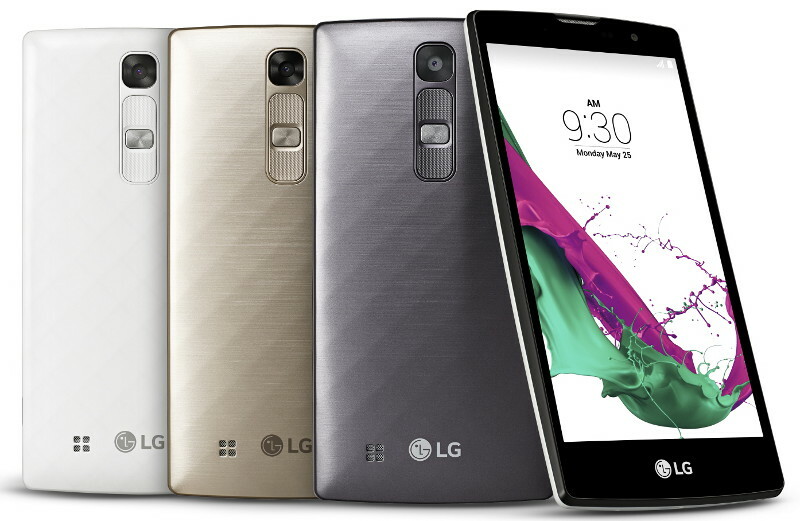 Both exceptionally priced devices share many of the same high-end user experience features found in the LG G4. The G4 Stylus is a 5.7-inch handset, slightly larger than the 5.5-inch display found in the G4. As its name implies, The G4 Stylus includes LG’s versatile Rubberdium™ Stylus, allowing for easy note taking and drawing on the generously-sized screen. Its smaller sibling, the 5.0-inch LG G4c, offers many of the G4’s premium features and styling but in a more compact form factor. Both G4 Series phones feature 13MP or 8MP rear cameras and 5MP front-facing camera for high quality photos and portraits. Other popular LG exclusives such as Gesture Shot, Glance View and Knock Code™ make both devices more convenient, secure and fun to use. The G4 Stylus inherits the super-fast Laser Autofocus feature found in previous G Series smartphones for sharply focused shots even in dim surroundings. HD quality IPS displays with In-Cell Touch technology deliver a visual experience that is far more immersive and responsive than on most other smartphones in this class. The G4 Stylus (available as G Stylo in North America and Korea) will be offered in both LTE and 3G configurations in Metallic Silver or Floral White color options. The G4c is an LTE model only and will come in Metallic Gray, Ceramic White and Shiny Gold. 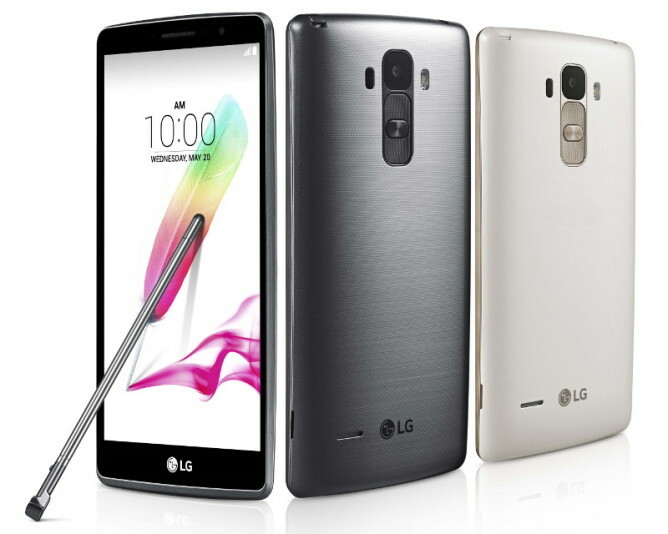 The LG G4 Stylus and G4c are scheduled to launch in key strategic markets in the weeks to come. Prices and participating carriers will be announced locally at the time of availability.